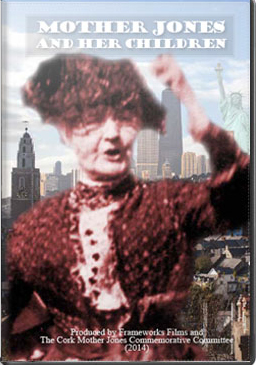 Maldron Hotel Shandon 2.30: “Mother Jones, America’s Most Dangerous Woman” a film by Rosemary Feurer and Laura Vazquez. Mother Jones: America’s Most Dangerous Woman is a documentary about the amazing labor heroine, Mary Harris Jones, known as Mother Jones. 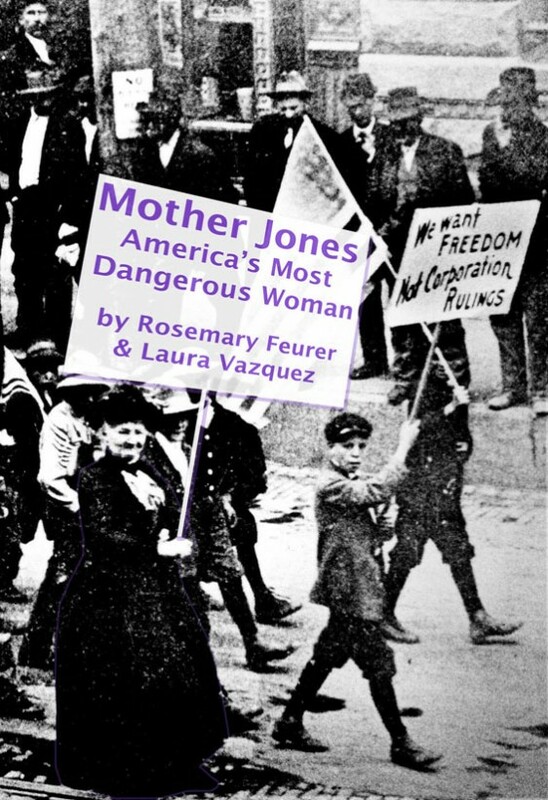 Mother Jones’ organising career influenced the history of early 20th century United States. She overcame class and gender limitations to shape an identity that allowed her to become an effective labor organiser in the early 20th century. Mother Jones transformed personal and political grief and rage about class injustices into an effective persona that led workers into battles that changed the course of history. The terrible conditions and labor oppression of the time motivated her to traverse the country, in order to organise against injustices. Also deals with the Ludlow Massacre. Maldron Hotel 3.30 pm “Mother Jones and her Children” a film by Frameworks Films and the Cork Mother Jones Committee. 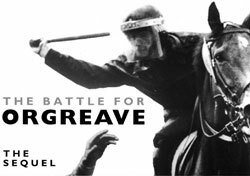 Maldron Hotel 4pm: Film: “The Battle for Orgreave” a film by Yvette Vanson, Producer/Director. www.yvettevanson. In this film we witness the violent struggle of miners trying to save their jobs in what became one of the biggest public disturbances Britain has ever seen. The camera focuses on the blood covered face of an angry protester, he looks defiant as he is led away by riot police. This is no criminal but a man trying to protect his livelihood. 55 miners faced long prison terms because of their involvement in the disturbance at Orgreave. This film looks at their fight for justice and their fight for justice continues over 30 years later. Orgreave in the North of England was the focal point for a mass protest by miners in June 1984. At this time miners were angry over proposed pit closures and reacted by striking and pressurising other pits to close. The culmination of these protests was a mass gathering of miners from all over the country at Orgreave. On the morning of 18th June miners were escorted into Orgreave. At this point police tactics already resembled a military campaign. After a push by the miners the police acted with force charging the pickets on horses. The protest soon turned violent with the police using heavy-handed tactics such as dogs and batons in an attempt to suppress the riot. Many miners are interviewed about their experiences of being at Orgreave and the tactics used by police. A stunning production. Maldron Hotel 7pm. 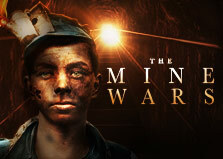 Film “The Mine Wars” a film produced and directed by Randal MacLowry. The Mine Wars explores the largely forgotten story of the epic struggle between Capital and Labour over the recognition of the United Mine workers of America union in the coalfields of South West Virginia. These culminated in the largest civil insurrection in America since the Civil War at Blair Mountain where thousands of miners took up arms and were even bombed from the air. Between 1890 and 1912, miners in West Virginia endured the highest death rate in America. Mother Jones was active in 1902 and again in the period 1912-1913 when Paint Creek and Cabin Creek featured. Later Mingo County, Logan County, the Matewan Massacre and the Battle of Blair Mountain where at least 50 people were killed are highlighted. This film concentrates on a UMWA leader and former miner Frank Keeney, who inspired by Mother Jones went to organize West Virginia. Monday 1st August. Mother Jones Day. Maldron Hotel 4pm:“Tadhg Barry Remembered.” A film produced by Frameworks Films in collaboration with the Cork Council of Trade Unions for Cork Community Television. 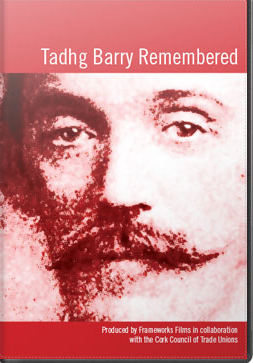 This documentary tells the story of Tadhg Barry (1880-1921), a native of Cork city, who has largely been forgotten. It seems hard to believe that a man whose funeral, one of the largest ever in Ireland, and which closed shops and factories from Co Down to Cork city could be relegated to a footnote in history. And yet this is what has happened to a man who was one of the last people to be killed by British forces during the War of Independence, just weeks prior to the signing of the Treaty. Active in numerous organisations such as the G.A.A and the Irish Transport and General Workers Union, Tadhg was also involved with Sinn Fein and was friendly with James Connolly. He was later elected as an Alderman to Cork City Council. Maldron Hotel 6pm. Spirit of Mother Jones festival highlights 2012 – 2015. Frameworks Films. Experience some highlights of the lectures and talks and music of the previous four festivals. Remember the spellbinding talk given by Margaret Aspinall of the Hillsborough Family Support Group in 2013, the riveting lecture of Gareth Pierce in 2014, Ken Fleming’s account of the present slavery on our seas. The late Jim Green’s address in 2014 for the Cork Mother Jones lecture. Speakers such as Rosemary Feurer, Dave Hopper, Fr. Peter McVerry, Marat Moore, and many more. Experience the music, songs and stories of the past years. All welcome.